The perfect salad needs a base, something sweet, something salty and something crunchy – this salad has it all. 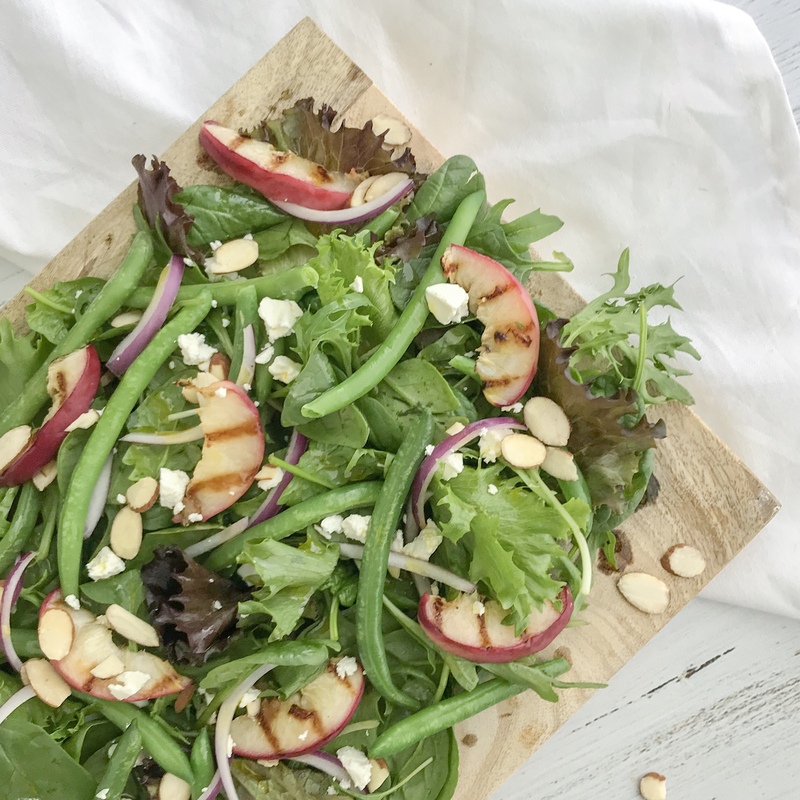 My peach, green bean and almond salad is a simple but impressive salad that can be made ahead. 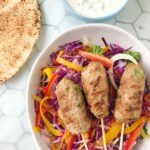 Need a salad to bring to along to share? It’s the perfect salad to share for family BBQs. I love serving salads like this on a platter or large wooden chopping board. Not only does it look great on the table, you can actually see all the ingredients with it spread out. It also makes it easier to serve (and select your favourite bits) with the larger pieces of sliced peach and whole green beans. This salad serves 4 as a side dish to a more substantial meal. Have it serve 2 as meal itself just by adding some grilled chicken or tofu. For a feast to share, it will serve 6 when there’s other salads on offer too! To make this vegan, replace the feta with 2 teaspoons of capers for a similarly salty kick. 1. Heat a medium griddle pan over medium heat and spray with olive oil. 2. 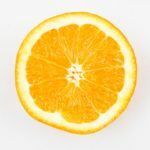 Add the peach slices to the pan and grill each side for 1 minute or until lightly browned. Remove from the pan and set aside. 3. Steam the green beans in a steamer basket over a pan of boiling water for 2 minutes or until almost cooked. If using frozen beans, blanch in boiling water for 30 seconds to defrost. Drain and set aside. 4. Arrange the salad leaves over a clean platter or wooden chopping board. 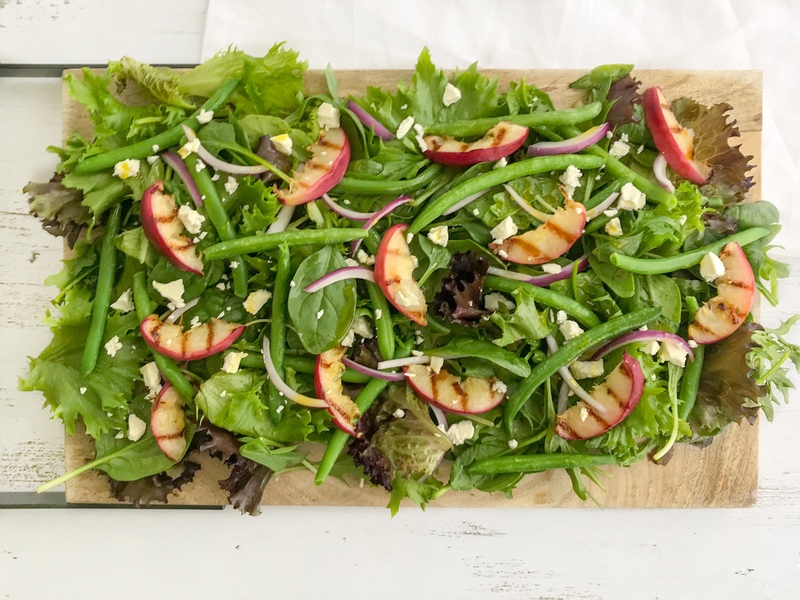 Arrange the red onion, feta, green beans and cooked peach over the leaves. 5. In a small bowl, add the olive oil, vinegar and a little salt and pepper. Whisk well to combine and quickly drizzle it over the salad. 5. Scatter over the almonds just before serving.